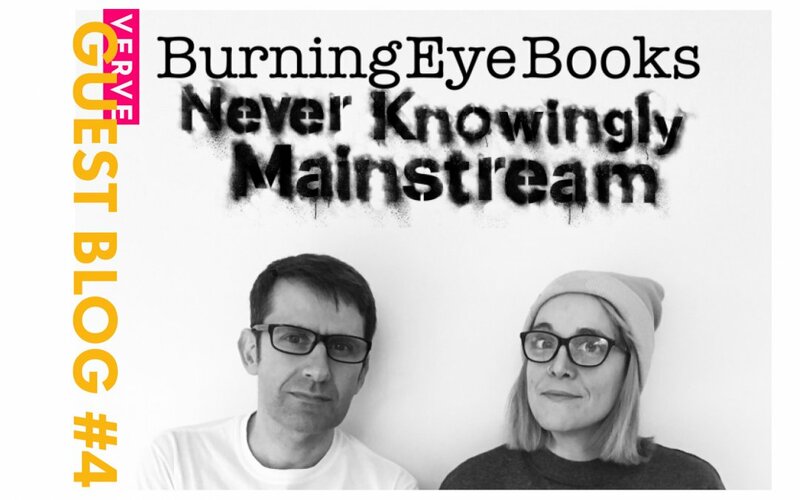 Burning Eye Books is the biggest publisher of UK spoken word and performance poetry. Clive first came up with the crazy notion of putting it on the page back in 2011 at an Ash Dickinson gig. From there, this backroom press has produced 150 poetry collections, sold 60,000 books and there is no sign of stopping. We aim to dispel the notion that you cannot publish performance poetry (which we think we’ve done fairly successfully thanks to the calibre of poets) – we want to create accessible poetry for everyone – poetry for the people, by the people. Our DIY approach has helped our ethos grow and reflect our political beliefs, most importantly equality for all. Our portfolio is very broad and this is important to display a variety of voices, truly reflective of modern British poetry. At Verve Festival this year we’ll (Clive and Bridget) be hosting a workshop on how to get published. Now we won’t be giving your manuscript a look over, or offering anyone deals by the end, that’s not how it works. But we can help to break down the barriers between writer and publisher by sharing how the submissions process works, what publishers like us are looking for, and how to build your career to a point where publishing is an option. By the end, you will have a better grasp of what publishers want from a submission, and how to stand out by thinking of you and your work as two parts of the package, well wrapped and organised. Bring something to write/type on and we’ll see you there! Book your tickets to the Burning Eye Books ‘Getting Published Workshop’ here. Burning Eye are also holding a showcase of their best-loved and internationally renowned performance poets on the Sunday afternoon of Verve (2:15pm). This includes performances from Toby Campion, Vanessa Kisuule, Scott Tyrrell and Nora Gomringer.